It's Official: Dandelyan is the World's Best Cocktail Bar! 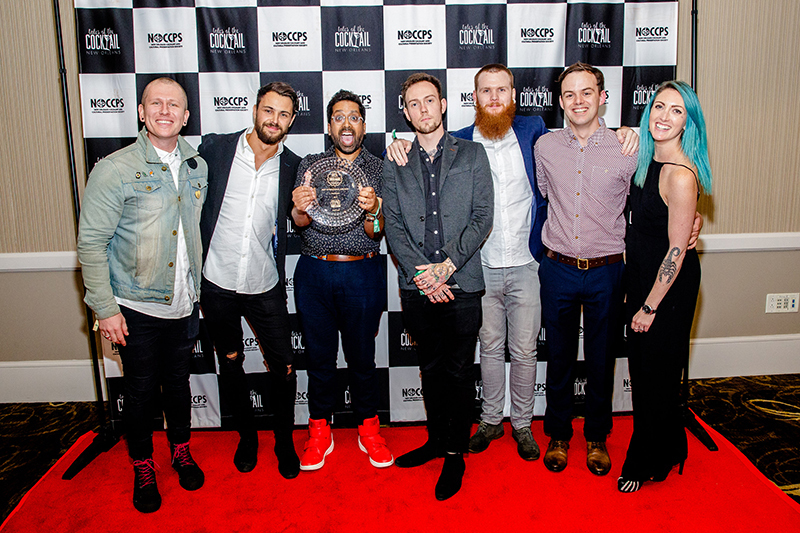 A few days after the bar's big win, we chat all things Dandelyan with Mr. Lyan himself. 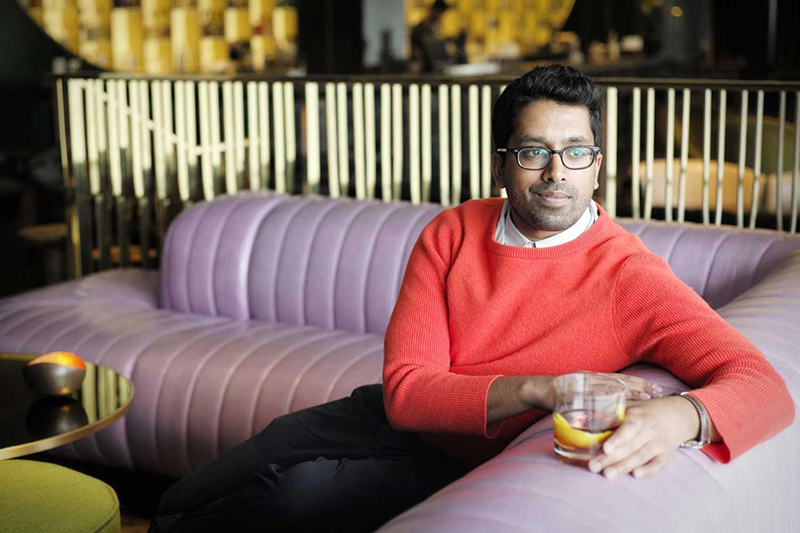 A few days after Dandelyan takes home the titles of World's Best Cocktail Bar, Best International Bar Team and the Best International Hotel Bar (2017) at the Tales of the Cocktail Spirited Awards, we sit down with bar impresario Ryan Chetiyawardana A.K.A Mr. Lyan, to chat Dandelyan's identity, making it big in the global cocktail scene, and what's next. The future in his sights: Mr. Lyan looks to what's next following the win. Snap by Rebecca Reid. Congrats on the win! You and the team must be over the moon. Mr. Lyan: We are. We were completely overwhelmed to be honest. Even reaching the final four is really tough at the Tales of the Cocktails Spirited Awards, so we were already celebrating. For the awards we were nominated for in advance, [Best International Hotel Bar and Best International Bar Team] and for awards we've been nominated for in previous years, it's always been like “goddamn!” We’re up against people we really respect that are leading the world in this, so it's amazing to even be nominated. 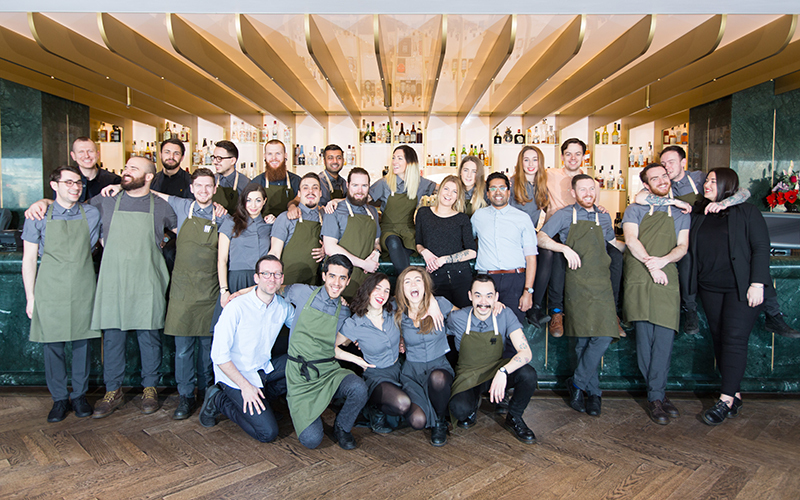 So you and the team didn’t expect to win the World’s Best Cocktail Bar award? Not at all. Before the awards, I was speaking to the team and I was saying, “listen, we’re an atypical bar, we’re up against some really tough competition. Don’t get your hopes up too much about winning anything.” Secretly though, the Best International Bar Team award was the one that I was most hopeful for. I really do think that we have the best bar team in the world. What do you think makes the team at Dandelyan stand out? The diversity. What’s been amazing about bringing people into a space like Mondrian London is that everyone comes from very different backgrounds. 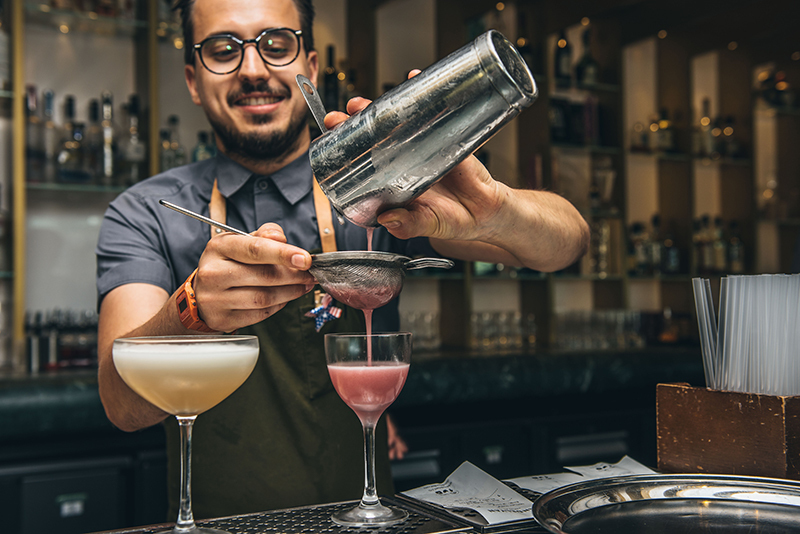 They’re not all hotel bartenders – and that’s no slight on hotel bartenders, there are all sorts of amazing hotel bartenders – but we have people who have worked at restaurant bars, tiny cocktail bars and larger establishments, and so that means that everybody brings to the table a very different perspective. Some very happy campers at the Tales of the Cocktail's Spirited Awards in New Orleans. So getting the right team on board is a hugely important part of what you do. Definitely. We hire on personality because we care most about making people feel comfortable. We do some crazy stuff at Dandelyan, and if the staff don’t have that honesty and passion for the gig then you run the risk of becoming pretentious, and that’s never what we wanted it to be. The team are involved in every aspect of what we do here. No one has just one job that they stick to. These guys work really hard and that’s only possible because they’re working for each other – it’s a family mentality. They do things differently at Dandelyan. The bar's new toy means guests can now play Mousetrap with whisky! Are there any challenges that come with winning such a prestigious title? For sure. Winning an incredible award means there’s more opportunity for people to try and shoot us down. We’re aware that people may come in and go, “Well I’m going to see if you really are the best bar in the world”, and that’s tough. For us though, it just gives us the motivation to push even harder. We wouldn’t rest on our laurels anyway. We want to continue to push the boundaries and we see this as an opportunity to continue to make things better. 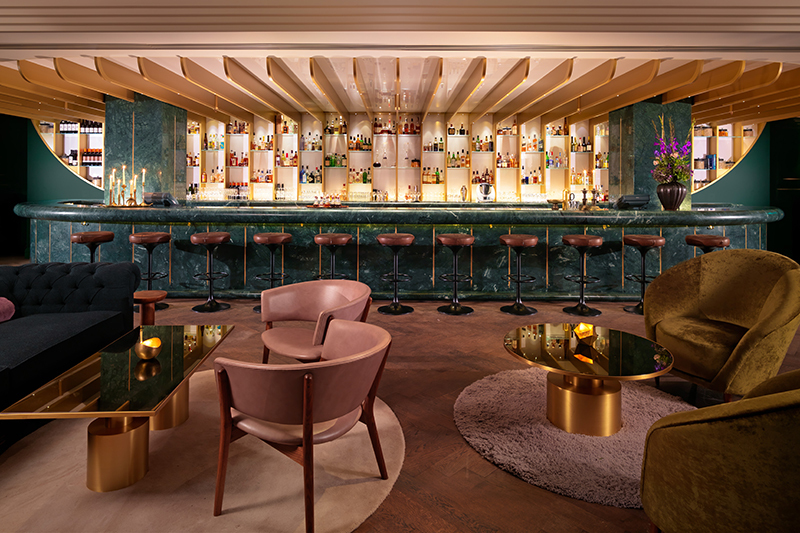 Dandelyan won the award for the Best International Hotel Bar. How has the bar distinguished itself as not just a "Hotel Bar", but a destination in itself? People expect a hotel bar to be very classic and white glove, and from the offset we said we wanted something different; we wanted to bring the vibe of a neighbourhood bar to this beautiful setting. That was very much the directive of it, and I think that alone makes a big difference. We don’t play jazz, we don’t force you to sit down and we won’t hover over you – we come and set the table, we play Black Sabbath and we’ll chat to you like a normal human being. That’s not to sound like a slight on other venues, it’s just what works for us and what sets us apart. It’s true to who we are. 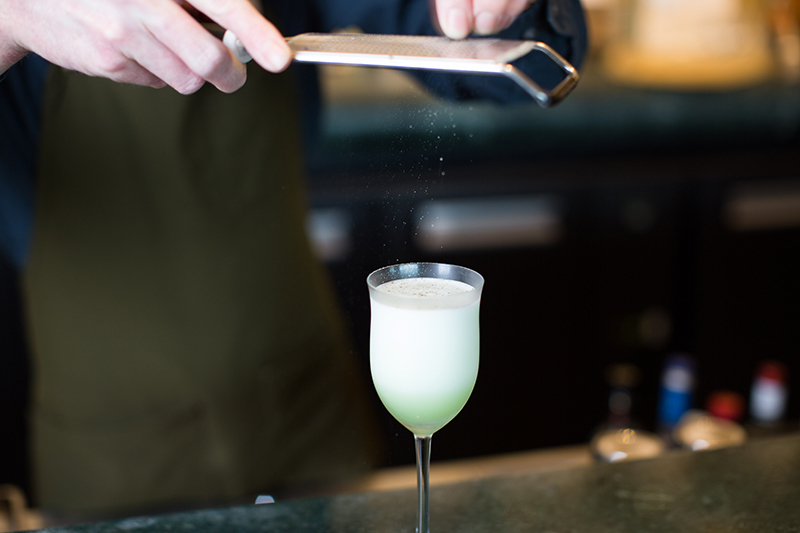 Authentic bartenders, a killer cocktail list and Black Sabbath tunes make for an award-winning combination. The next big thing is our new menu. We like to change things up and while we’ve loved our current cocktail menu, we want to do something else now. This is going to be the point where we burn that to the ground and use that a starting point for something new. Can you run us through the process of coming up with a new cocktail menu? It takes us a solid seven months to come up with a new bar menu. It starts with the concept creation. We then work with the senior team and then the whole team to create stories and ideas around the concept. Finally, we start developing the drinks. It’s lengthy, but it means that we have something that’s very balanced and cohesive. Everything on the menu has a purpose, nothing is gimmicky, or weird for the sake of being weird. In light of the various London bars recognised at the Tales of the Cocktail Spirited Awards, would you agree that London has the best cocktail scene in the world? Totally agree. London probably has the best food and drink scene in the world at the moment, there’s a lot of belief in it. London’s diversity is what makes it amazing and as a result, you’ve got it lots of different venues doing lots of incredible stuff. Melbourne is another cocktail hub, New York as well of course, and Tokyo is just a different experience altogether. There’s lots of great drinking cities but I think at the moment London takes the crown. Well if London takes the cocktail crown, Dandelyan must be it's shining jewel. We leave Mr. Lyan to celebrate the wins with the team in tow and a drink in hand. Chin-chin!